AMMONNEWS - US government agencies that had largely shuttered operations for five weeks during a budget standoff said on Saturday they were moving swiftly to resume operations and compensate employees for missed paychecks. The partial government shutdown - at 35 days the longest in US history - led to some 800,000 federal workers going unpaid, including 380,000 furloughed workers. 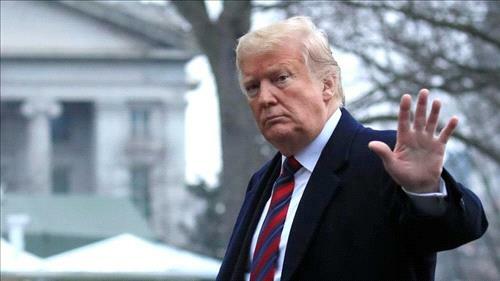 President Donald Trump on Friday signed a measure to fund the government for three weeks as congressional negotiators try to hammer out a bill to fund the federal government through Sept. 30. Trump had demanded $5.7 billion in funding for a wall on the US-Mexico border, but Democratic legislators refused to include the money. It will take agencies days to dig out from weeks of unread emails and deal with other logistical issues like expired email passwords or ID badges, agency officials said. Furloughed workers were told not to read emails or answer phone calls while off duty. The Smithsonian Institution said museums in Washington and the National Zoo will reopen on Tuesday. In Philadelphia, Independence National Historical Park - which includes a center that houses the Liberty Bell, a symbol of American independence - reopened on Saturday. Other sites are reopening on Sunday, including Ford's Theatre in Washington. The SEC has been unable to approve initial public offerings during the shutdown, and some analysts had suggested the issue could delay IPOs in 2019. It will take the Federal Register, which publishes government regulatory actions, weeks to catch up with the backlog of documents, which will delay the start of public comments on some proposals. The shutdown is also likely to delay the rollout of Trump’s 2020 budget proposal and congressional hearings on the budget. It is not clear when Trump will deliver his State of the Union Address, but one administration official, speaking on condition of anonymity, said on Saturday it is not likely to be until February.